Hope you come again to visit our new pages. 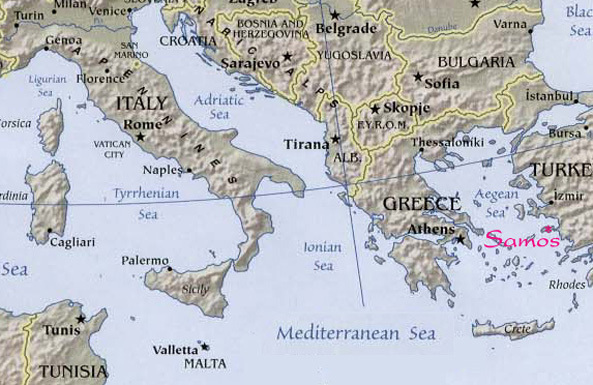 Please click on the above Samos Map to see Large Samos Map in Details. Since 1993 this "site" www.diavlos.gr was First Information System abut Samos Island and Tourism in Greece. Last updated: 2017, May 21 .